As the loving and proud owner of a guinea pig, the goal is to always feed him what is healthiest for his needs, and not necessarily what you think may be delicious. Although milk may seem innocuous, it is very important to abstain from feeding your guinea pig dairy products. The foundation of a proper guinea pig diet calls for pellet food. 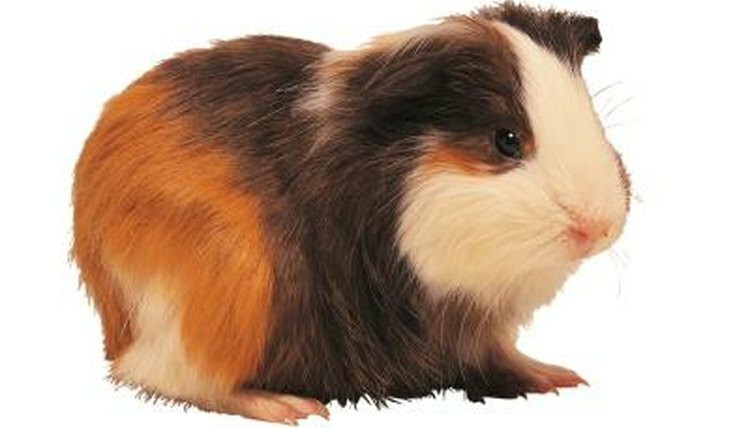 Thankfully, quality commercial guinea pig pellet mixes are easily accessible at most pet supplies retailers. These foods are balanced specifically to meet the needs of guinea pigs as a species. Two daily servings of pellets are ideal for keeping your pet healthy and lively. Aim to feed your guinea pig a single teaspoon once in the morning, and then another again in the evening. Guinea pigs are herbivorous creatures, and because of that, it is important to avoid ever feeding them any dairy products, including milk, according to the Humane Society of Huron Valley. The furry rodents are lactose intolerant, which means that their bodies simply do not digest dairy items sufficiently or adequately. Since yogurt drops also contain dairy, avoid ever giving them to your guinea pig as a treat. Not only is milk inappropriate for guinea pigs, it isn't necessary at all either. Clean and fresh water is all that your pet needs in order to thrive and remain in strong health. Refresh your guinea pig's water at least once a day, and keep it in an inverted bottle complete with a tube for easy drinking. Milk and dairy aren't the only no-no items for your guinea pig. Other categories of food that aren't suitable for guinea pigs are meat, eggs and sugar. Restrict treats to tiny bits of fresh fruits and veggies -- think alfalfa hay, carrots, apples, spinach, parsley, tomatoes and cantaloupe. Never bring any food into your pet's diet, however, without getting the approval of your veterinarian beforehand. Safe is smart when it comes to successful pet ownership.